Destroy!!! 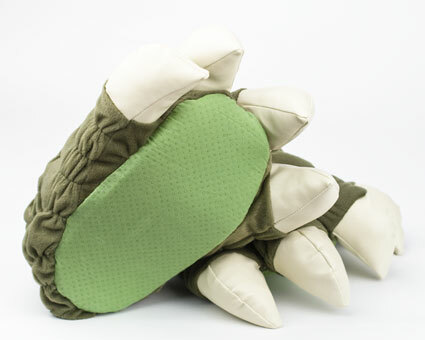 Now you too can knock down buildings and walk on cars with your very own pair of authentic Godzilla Feet slippers. Small model cities will never be safe again. 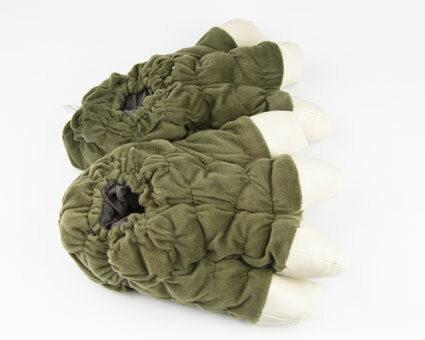 These Godzilla slippers feature attractively sewn plush green lizard skin exterior and soft interior lining. What thrill! I went out and destroyed Chicago the very day I received these in perfect shape in the mail. 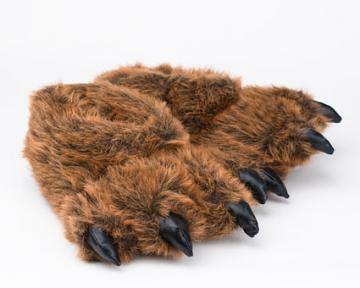 Most excellent slippers. My best friend was estatic with the Godzilla slippers and love how comfortable they are. I need to buy a pair myself! I slum around the house in them. And they're warm and came fast. I got these to keep the serious adult world at bay, and they work beautifully. My wife has "slipper envy", and they put a smile on my face when I'm chilling out on the couch. Great quality and comfort. I'm a size 12/13, and they still fit well. 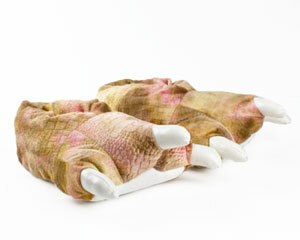 The scrunchy soft material does a great job of looking Godzilla-esque. Advantages: Claws clack on stair steps. Can make stomping/crushing noises as I walk. I bought these for my brother-in-law. He absolutely loved them. Great product came in time for Christmas. Totally satisfied. Excellent purchase for me and the wife for Christmas gifts. Good quality and so comfortable. 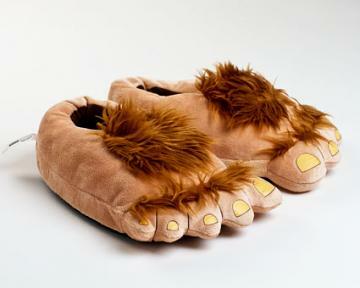 Boss Monster Feet for Sure !!! Bears built just as good. Recomend! Advantages: Cozy, Comfy Quality build.Great Fair price with fast shipping. Came so fast!! My boyfriend loves them. 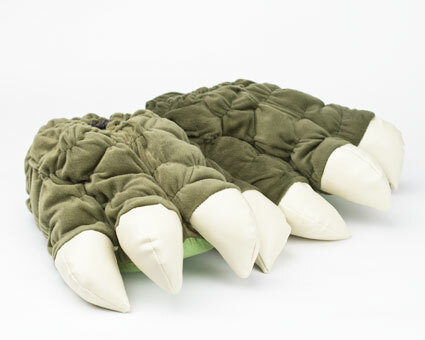 I love my Godzilla Feet slippers! 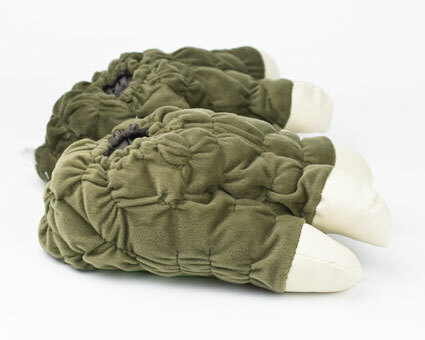 My family is a big fan of these godzilla slippers. I got them for my husband because he really likes monster movies. He thought they were silly at first but admitted that they were “pretty comfortable.” He wears them around the house all the time. I win again!